Julie and Kate Baked Goods is a Colorado-based company. They make strain-specific canna-butters, seed mixes, granola, and coconut oil. 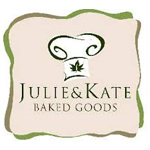 All of Julie and Kate’s products are gluten-free, because Julie is a Celiac patient. Adhering to their standards of quality, they only use organic butter, their strains are organically grown, and their canna-butter is tested by CannLabs. 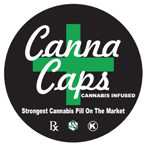 Canna-Caps was started to help patients get the strongest and highest quality of medication needed. We use only high quality Kosher ingredients and ALL of our Capsules are tested though Santa Cruz Labs for consistency and quality. We put a minimum amount of 150MG of THC in our capsules currently but will be expanding that to half strength shortly. MONDO Meds was founded in 2013 to provide patients with an alternative to sugary sweets that dominate the market with gourmet, healthy, and Earth friendly cannabis infused granola bars. Every organic, vegan, gluten-free bar is hand crafted with care and carefully placed in home compostable packaging.